Coming in a now-familiar kraft paper pouch is kyth + kyn’s Digest. The packaging is a plastic and foil lined kraft paper pouch that’s resealable – one of my favourite features in any good tea packaging. Digest is said to help with poor food decisions (on the front of the packaging, kyth + kyn wrote “For all those times when that extra slice of cake ended up being a terrible idea” – clearly they have never met me because an extra slice of cake is never a terrible idea). The aroma of Digest is primarily that of peppermint, which isn’t surprising when you look at the blend itself. Digest consists of: peppermint, ginger root, and chen pi. For those who didn’t grow up in a Chinese household, chen pi is also known as sun-dried tangerine peels. They’re left to dry and are commonly used in eastern medicine. kyth + kyn recommends steeping Digest in hot water for 3 to 5 minutes. I opted to steep at 200°F (93°C) for 5 minutes. Digest steeps to a really pretty golden orange. The aroma is pretty much primarily the peppermint, which isn’t much of a surprise considering how prominent it was in the dry leaf. 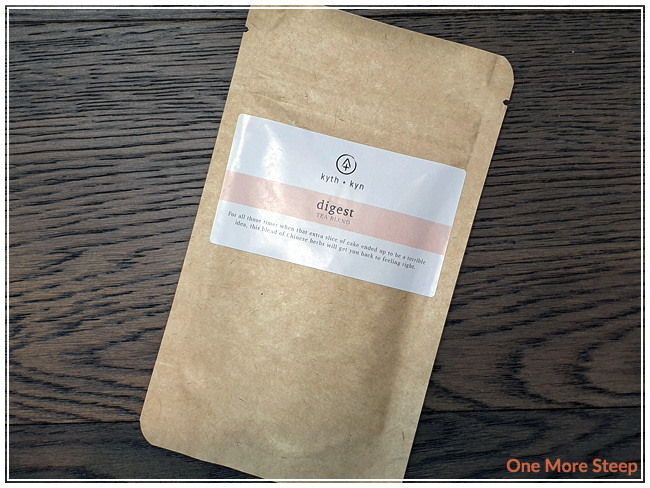 The flavour of Digest is a mix of citrus sweetness, peppermint, and the warming qualities of the ginger. It’s really quite pleasant, and does warm me from the inside out. 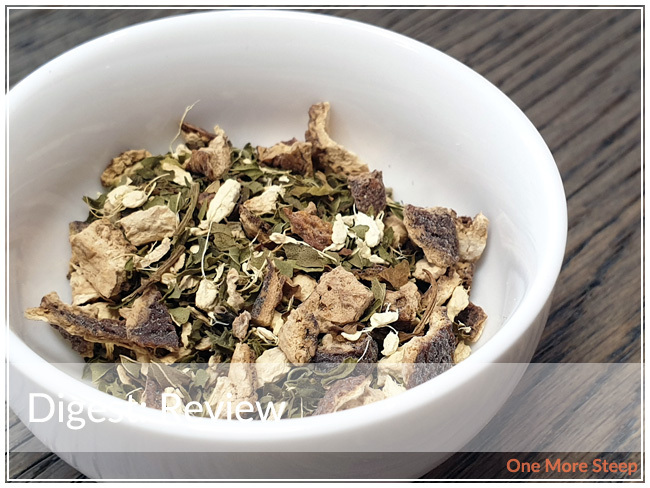 I can see why this blend would be geared towards indigestion/stomach issues, since the peppermint and ginger are both quite known to help with those. 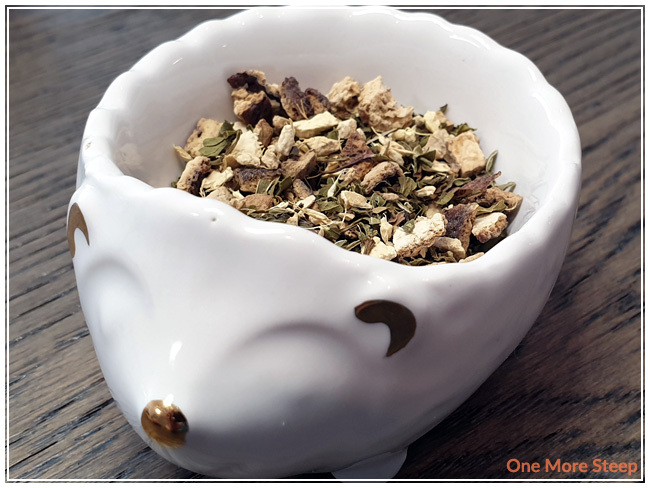 The chen pi is an ingredient also used for enhancing digestion. I attempted to resteep Digest once, and found that the peppermint was considerably weaker compared to the initial steep. The ginger and citrus notes from the chen pi were present and more noticeable. If you’re looking for the peppermint taste, I would say that Digest is good for just one steep. 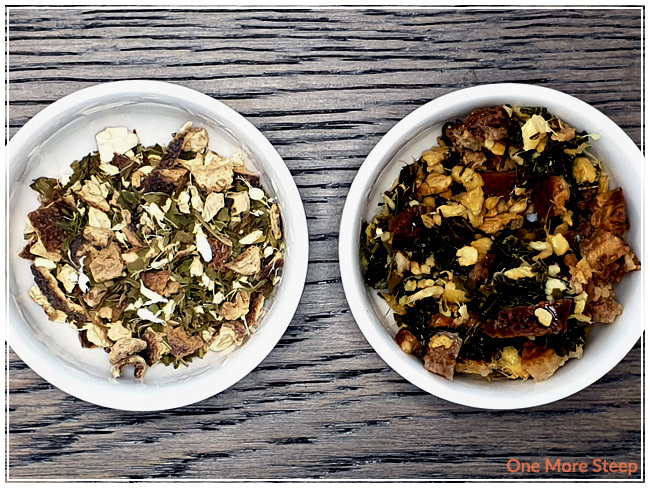 If you’re happy to drink an infusion of primarily ginger and chen pi, then do one more steep. I liked kyth + kyn’s Digest. 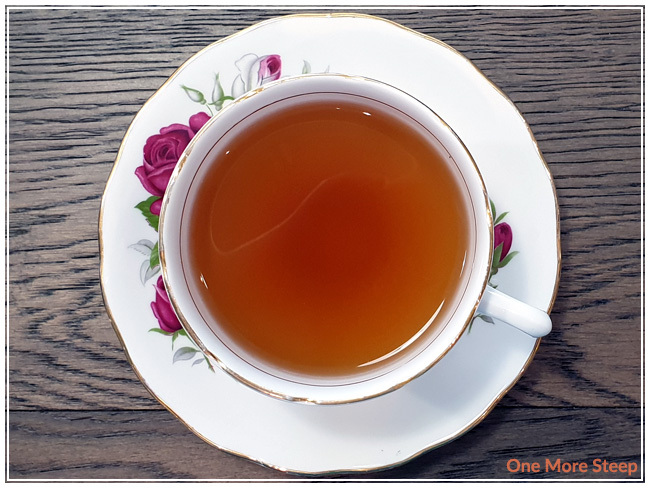 I tried this initially at the 2018 Vancouver Tea Festival, and more recently when I was feeling under the weather. While I didn’t have indigestion or stomach issues, I wasn’t feeling particularly hungry due to being sick and I think that having that peppermint and ginger infusion helped to settle my stomach a little bit. It’s definitely not a blend that I would have every day, because I tend to attribute those flavours to when I’m feeling sick. Digest is a blend that I’m going to keep in my ‘sick time’ tea blend stash because it definitely has a place there. I’d probably rate it higher if I was having bloating or indigestion, because then I would really be able to test the herbal qualities of the ingredients found in Digest.